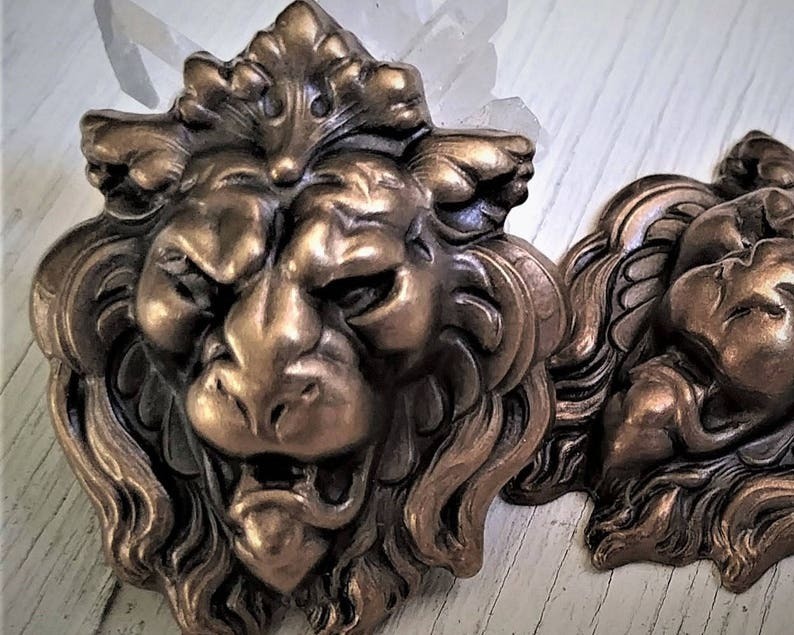 2PC ORNATE HIGH RELIEF REPOUSSE STYLE LIONS. Hand oxidized with antiqued gold/bronze tone patina. You receive 2 pieces. No holes or loops. Sturdy construction with hollow backs. Unique, hardware, jewelry findings or decorative accents. Genuine brass...Made in the USA...Naturally nickel and lead free. Great quality. Fast shipping. I will be back for more. Excellent pieces and great shop!